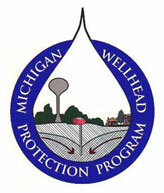 The Village of Bear Lake participated in a State of Michigan funded Wellhead Protection Program since 2000. So far we have received 4 grants which are helping us determine the origination, extent, and quality of and threats to our groundwater drinking supply. Village residents are fortunate to have a quality municipal water supply which is regularly monitored and independently tested. However, at some point in the future, our water supply equipment will have to be replaced and a backup water well drilled. 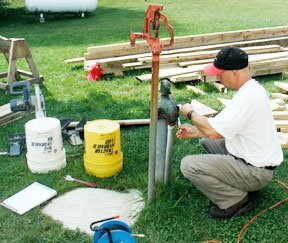 The State of Michigan Wellhead Protection Program (WPP) is designed to protect the integrity of current and future water supply for the Village of Bear Lake.The Village relies on two wells drilled in to a primary aquafer. The WPP seeks to determine from which direction our water supply reaches the wells which in turn will help identify any future potential for contamination and help plan for future water wells and land use. The Village has received a $7,500.00 grant from the State of Michigan to defray 2001 costs. An additional $7,050.00 was approved for 2002. 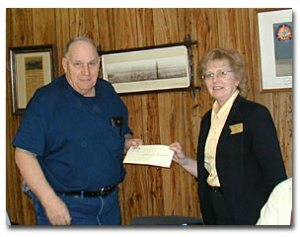 A grant of $2,725.00 has been received for 2003 project costs. $3,250 has been awarded for 2004. Click here to read the Manistee News Advocate feature story on potential sources of groundwater contamination within our area. 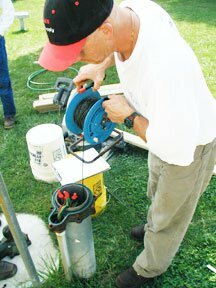 In the last phase, we were most grateful to area residents who permitted our environmental engineers, Gosling Czuback Inc. to run a depth guage down the side casings of their well to determine at what depth the water level is. By mapping several wells we can tell the direction our water is flowing and also how far down we have drawn the aquifer. The Wellhead Protection Delineation report is now available for download from this site. The grant was awarded to contribute toward the education component of the Village’s Wellhead Protection Initiative, which will be developed in collaboration with the 4th and 5th Grade and High School students in Bear Lake. The next phase will prepare a public education model to show the source of our ground water and plan for proactive, responsible communtiy planning. It has been shown that Bear Lake’s drinking water, derived from ground water, is relatively ‘young’ being less than 50 years old. It will also allow us to plan for possible sites for new drinking water wells and lay the groundwork for Drinking Water Revolving Fund Grant Applications. In order to protect the current and future sources of our ground / drinking water, the Wellhead Protection project will enable us to make sound future planning decisions. The Village tests the integrity of our municipal supply on a monthly basis. Click here for Village Wellhead Protection Past Meeting Minutes. The Wellhead Protection Delineation report.